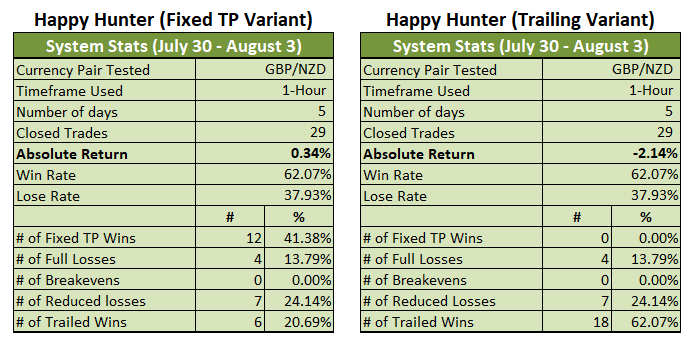 The two Variants of the Happy Hunter Trading system had a mixed performance this past week since the Fixed TP Variant ended the week with a measly 0.34% gain, which is better than nothing and a weak (but promising) recovery after last week’s bloodbath. 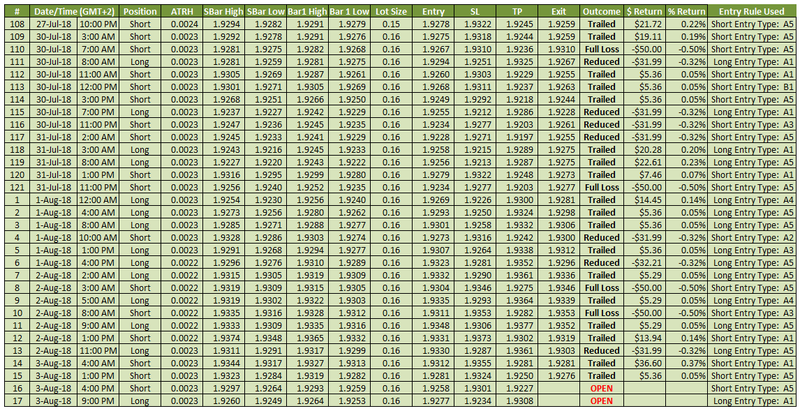 The Trailing Variant, meanwhile, has yet to lick its wounds since it suffered 2.14% in losses this past week. 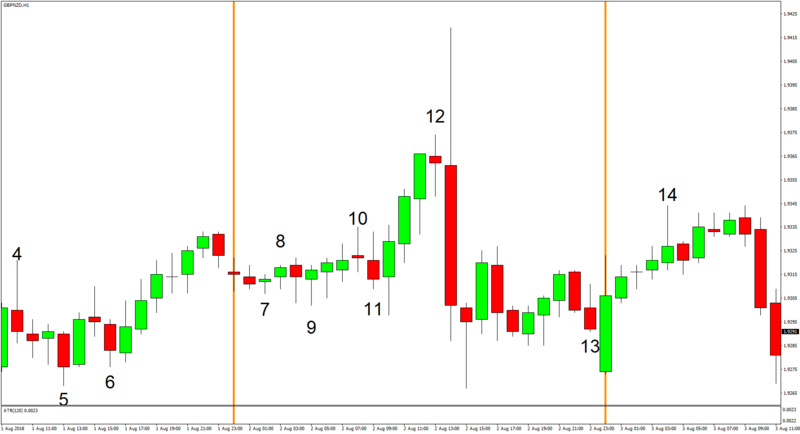 Trading conditions this past week were still rather terrible since intraday price action was still very choppy and intraday trends were still weak. 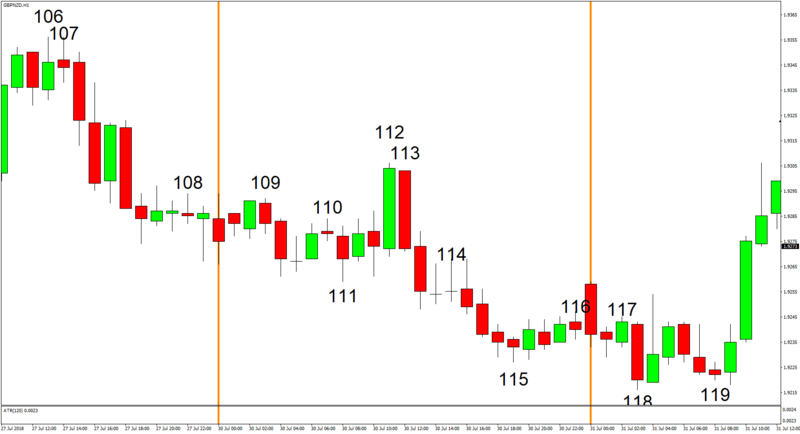 However, the Fixed TP Variant managed to eke out a win while the Trailing Variant’s losses weren’t as big compared to last week since volatility actually picked up, given that the average daily range this past week is 106 pips. 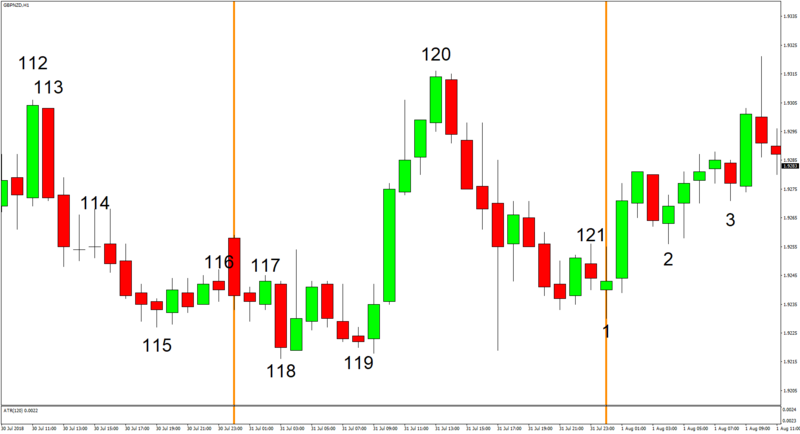 In contrast the average daily range last week was only 81 pips. Don’t get me wrong, though. Volatility this past week is still abnormally low. 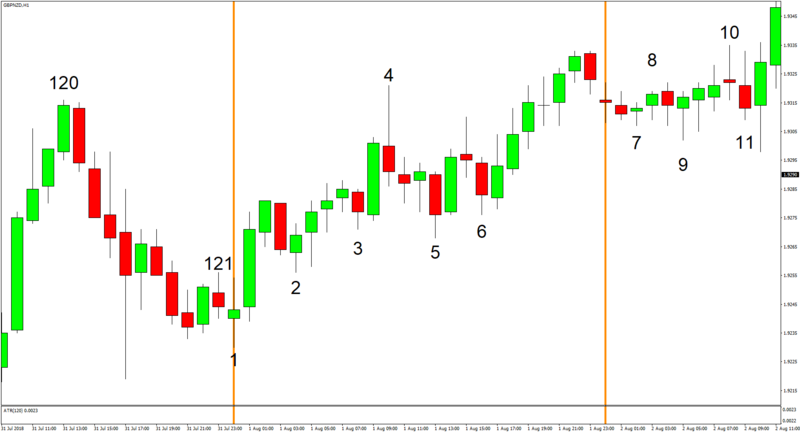 And to put that into context, the average daily range during the first three weeks of July (when the system was steadily raking in gains) is around 151 pips. 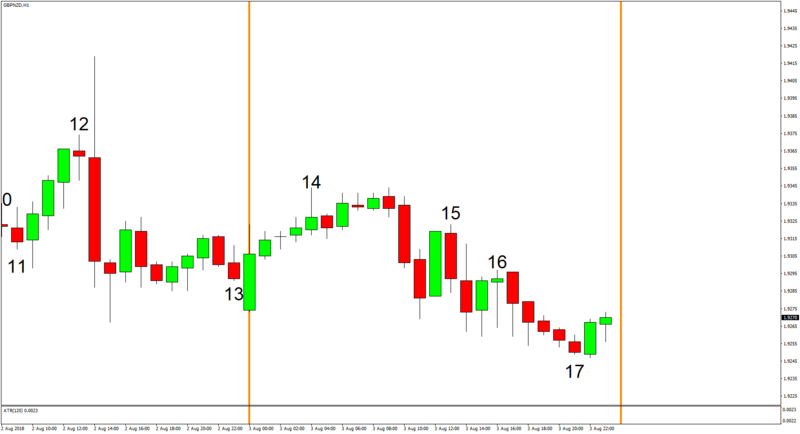 Moreover, GBP/NZD’s historical daily range from 2007-2017 is actually around 225 pips. Still, it just goes to show just how dependent the system is on volatility. 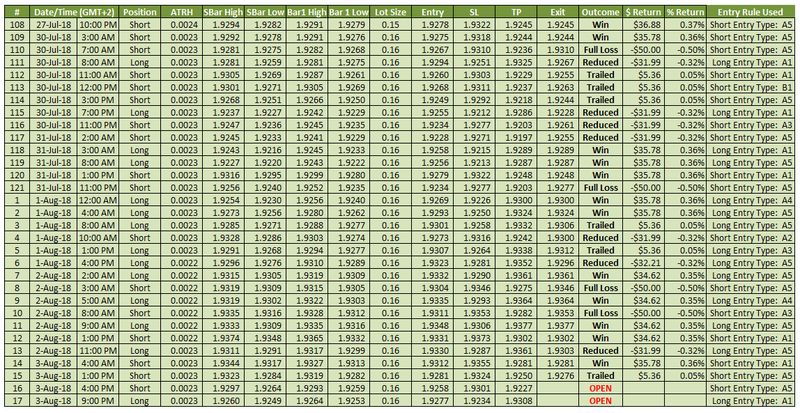 Anyhow, I’ll have more to say when I publish my monthly evaluation and plans on Monday.